She is a 29-year-old widow with two daughters. Her husband passed away 6 years ago. Sujatha was deep in grief from her husband’s death and was not sure how she would continue to support her daughters. She knew her parents could only help for so long. She had a strong desire for her daughters to be well-educated, but they were barely surviving and the girls were severely at risk. Then she found ICM. Sujatha was one of the entrepreneurs who went through our very first round of training at Rescue Pink center at Medak. Rescue Pink, a project of ICM works towards the betterment of women in rural areas. Sujatha has been one of the brilliant women who had come to our center seeking help. She had previous experience as a tailor and knew that she wanted to capitalize on that during business training. She was given a loan to purchase a sewing machine and several fabrics. She began to sell blouses and do some small embroidery work. Sujatha became one of the entrepreneurs from the first round that had some of the highest profits, so she was chosen to go through the process again with the second round of entrepreneurs and get another investment to continue to grow her business. With the second loan, Sujatha is now able to sew sarees and even more blouses for clients. And now she is training other women in sewing to make even more money. She learned these skills through our business training. Sujatha wants her daughters to be well educated, which is why she says she will work tirelessly to make sure they attend the best schools possible. Sujatha has enjoyed the training and says she has learned to be bold in her life. She says that this initiative helped her to stand on her own two feet by giving her this opportunity. She now has no fear for the future because she can provide for her two daughters. After completing training and receiving a second investment, Sujatha believes that she can do anything she sets her mind to. Rescue Pink instilled bravery in her, and she hopes to teach it to her daughters as well. She is also currently saving for her daughters’ education, and paying for private education school and bus fees, on top of providing all the basic necessities for her family. 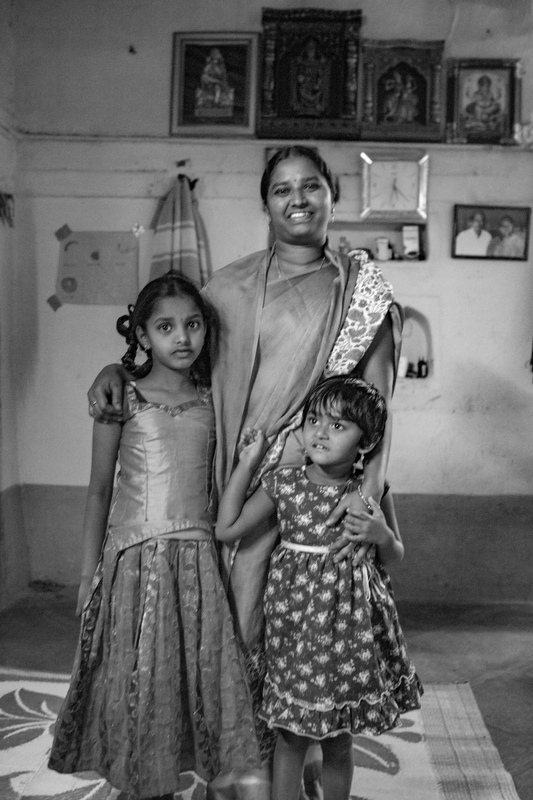 Sujatha hopes to one day own her own home and feels that she can dream of that now because of the hope she has been given.